The driver line-up is shaping up for November's end-of-season young drivers test in Abu Dhabi. The test will take place on the days immediately after the final race of the season before the teams get the opportunity to try the new Pirelli tyres for the first time. Like the similar test at Jerez at the end of last year, it will be an opportunity for drivers who have competed in less than three grand prix to gain experience in the current cars. McLaren will use its 29-year-old reserve driver Gary Paffett on at least one day, according to a report by Auto Motor und Sport, and perhaps another Briton, the GP2 driver Oliver Turvey, on the other. Force India's Friday tester Paul di Resta, who is tipped for a 2011 race drive, will get two days of testing. In the F10 Ferrari will be Jules Bianchi, the 21-year-old French GP2 driver who is under contract to the Italian team and managed by Felipe Massa's manager Nicolas Todt. 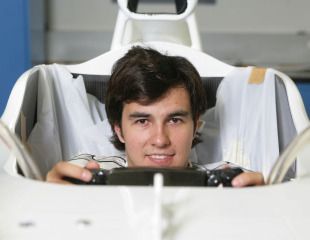 Sauber will be running its 2011 race rookie Sergio Perez, and the team's test driver for next year Esteban Gutierrez. Both are Mexicans, as is the 2011 Sauber sponsor Telmex. Red Bull will run its reserve driver Daniel Ricciardo, an Australian, and another young driver sponsored by the energy drink, Frenchman Jean-Eric Vergne, will be in the Toro Rosso. On one day, Renault will run the new Renault World Series champion Mikhail Aleshin, whose father and manager Peter has told Russian website championat.ru that he is in talks with Force India, Lotus and Virgin about 2011. On the other day, Renault owner Genii is likely to use a driver from its Gravity management driver pool, such as the Chinese Ho-Pin Tung. The new F2 champion Dean Stoneman, 20, will be in the Williams car for one day, and "we haven't decided on the other day yet," team chairman Adam Parr said. Reserve driver and Finn Valtteri Bottas is a likely candidate. In the Virgin car will be the team's current Friday driver Jerome d'Ambrosio, and Brazilian test driver Liuz Razia. It is believed Lotus will be running two drivers, but their identities are unknown, with Auto Motor und Sport claiming that one will become the team's 2011 test driver, while the other must pay for the test. HRT's plans are also unclear, as are Mercedes. "Hopefully it can be one of the guys who are in the Mercedes [driver development] scheme," said the German marque's Norbert Haug.